You buy all the seeds and small plants for your vegetable garden. You spend time day dreaming about the day you will pick all the fresh vegetables. But, what you didn’t think about is your soil. Maybe you did, because you’re still having problems that don’t involve garden pests. The problem could be your soil. Know the signs of bad soil, and what can cause it, before planting your garden. Here are 10 indications of bad soil and how to fix the problem. Low Nitrogen: If your plant leaves (low on the plant itself) are discoloring and falling off the soil is likely low in Nitrogen. Adding compost to the soil is an organic way to fix this issue. Low Phosphorous: Do your plants look purple? They are likely low in phosphorous. This happens because of the temperature of the soil. The Phosphorous is probably there but because of the temperature of the soil it’s unable to be released to aid the plant. Use some mulch to increase the soil temperature and get the phosphorous to release. Too much Nitrogen: Do you have lush foliage but little to no fruit? You could have too much nitrogen. Other signs include wilting and downward cupping of older leaves, followed by yellow and brown burnt areas on lower leaves. How do you fix this problem? Oddly enough – mulch will fix this. Go slowly. You can also plant vegetables that will deplete or bring down the levels of nitrogen like cabbage, broccoli and corn. 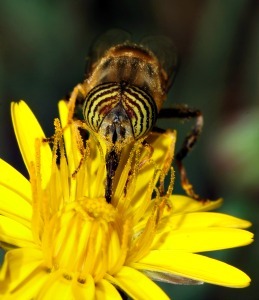 Pollination: Even vegetables need pollination in order to bear fruit. If your plant is blooming but not producing you could need more birds and bees. Plant some flowers around the border of your garden. While you’re waiting you may have to cross-pollinate yourself. I don’t know if dinner and a movie will help but who knows. Uninvited guest to your garden: If you’re making a hanging floral wreath moss is great. Moss is not so great in your garden. Moss means your soil high in acidity. Add some wood ash or lime to bring your soil to a more neutral level. Also at the end of the planting season take a good look at where your garden is located. Moss hates direct sunlight. If you have overhanging tree branches or bushes that block the sun from your garden, moss will, and can grow. Get rid of any sunlight obstruction. Volunteers: A plant that grows on its own rather than be deliberately planted by a farmer or gardner. For example have you ever seen a corn plant in the middle of a soybean field? That corn plant is a volunteer. A hold over from last years corn crop. No matter how large or small the garden volunteers can happen. Why are volunteers bad? There bad because you should rotate your crop every year to avoid disease. Seeds can be brought to your garden by a good wind, or a bird flying over. The best way to deal with volunteers is to pull them as soon as you see them coming up. 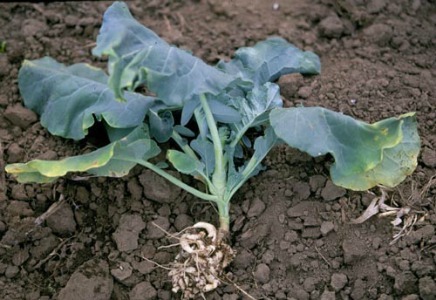 Clubroot: Clubroot affects cabbage, radishes, turnips all plants of the Brassicaceae family. Clubroot lives in the soil and does horrible things to the roots of plants. The roots look knobby and swollen upon examination. It doesn’t just affect the roots it also caused under-developed vegetables and eventually the death of the plant. The women of my family always told me the roots look like the hands of someone with arthritis. If you suspect or have confirmed this is the problem you may as well not plant anything susceptible to clubroot for at least 7 years. Water: Puddles of water, or standing water, are very bad for your garden. If you live in a climate with lots of rain you understand the dilemma. Often times gardeners who are eager to get their gardens started in the spring deal with this issue. How do you know when your soil is ready after the spring thaw? Take a handful and squeeze. If water drips from your hand then you need to aerate the soil. The crumble: Is your soil crumbly like a good coffee cake or dry, hard and cracked? The soil should be crumbly. If it’s dry and cracked, water will run off and not absorb into the soil like it should. Also, not enough water will make it to the root system and allow the roots to grow down in all that hard soil. So, crumbly good. Dry and cracked bad. How do you deal with this problem? Add organic matter and add it often. Also, do not compact the soil. Test your soil. The best piece of advice I can give is to have your soil tested or do it yourself. 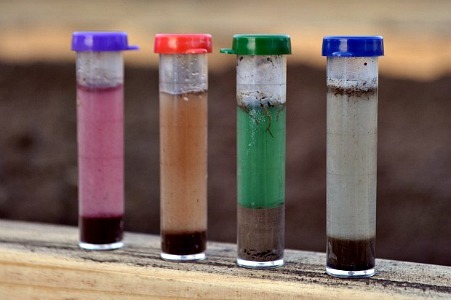 Some nurseries and garden centers will test your soil samples or you can buy a kit and do it yourself. I live in SW Virginia, Growing Zone 6B. 1 1/2 yrs ago I planted some compact Japenese holy bushes along both sides of the sidewalk. They have grown and looked healthy, until now. Just one bush on each side has turned completely brown and dead looking. These two plants are at dirfferent distances from the portch; one right next to the porch, the other, about 15 feet out. Ironically, the same thing happened with the green and white Variegated Boxleaf Euonymous plants. All 4 died on one side of the porch, while none died on the other side. All the plants metioned are in the same type of environment, as far as amount of sun, water, etc. The soil is a thick, sticky clay.. That being said, why do some plants continue to do well while others die? Can the soil be bad in just some places and not others? It’s rarely, almost never, the quality of the soil in one place over another. 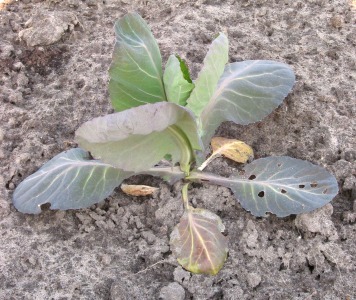 Even though they are close to one another one plant might have not tolerated dry or too wet conditions like the others. Or something like spider mites, but I doubt they would kill the plant completely. If I had to guess I’d say they dried out over the summer and you just didn’t notice. The same thing happened to very mature trees here this summer. One hot dry spell is all it took. I’ve had a lot of issues with my soil this year as far as what I’ve put into containers. I’ve bought miracle grow potting mix, which seems to do okay for a couple weeks then it gets too dry. I’ve used a mix of bought potting mix and topsoil which seemed to do the best so far. I’ve mixed bought top soil, peat moss, and vermiculite. It looks great when it’s first mixed then gets dry just like the others. I wonder if the over 90 degree days and the black containers just can’t handle it even though I water every day, and we get a good amount of rain. All my container plants barely grew at all, then as soon as I put them in the garden they took off. I’m just not understanding, all over the internet everyone says use a 3rd topsoil, peat, vermiculite or perilite and it’s just not working for me, even before we had really hot days the growth was stagnate. I’m thinking I need to add lime and fertilizer from the very start before I even plant the seeds? That just proves that “all over the Internet” people have no idea of what they are talking about. I planted tomatoes , peppers and corn but my ground is cracked what can i do to help with out hurting plants? You have to amend soil before you plant and do it both in the spring and the fall. Sooner or later it gets much better. I’ve hand dug the only area I have with direct sunlight to plant a few vegetables. My house is very old and the soil consists of what looks like the roots of a pot bound plant. When I put my trowel into the dirt, sometimes, I have to just pull and pull and use a little hand fork to try and remove all the roots and/or stems. The dirt most likely has never had plants growing there – I’ve lived here 40 years and have never planted anything here. So while working to clear an area to plant, I noticed there aren’t even worms in this dirt. I’m sure it needs help, but what should I do? I did read above about moss growing which I do have a little – but I will put lime on it for that. Just not sure what else I can do to improve the quality of the dirt. Thanks! Work in lots of organic matter. My raised bed garden’s top layer of soil is hard and dry. What’s underneath is great soil. We added lots of compost and worm castings. What is the problem? Planted turnip greens and they came up just fine but now the plants have slowed growth. Hoeing and mulching? Is that the solution? Just loosen the soil, the plants should do fine. I really don’t see that small rubble is a problem. I’d just back fill with the soil you removed from the holes. I moved in 15 years ago and from the start a big area will not grow anything. Not even weeds. They had a patio in that area and maybe they dumped grass and weed killer into the soil? I did soil testing and the nitrogen is practically non existent and extremely high alkaline. I was thinking of getting some good soil and mixing it in with the bad. This soil does not get sunlight. The lack of sunlight is an issue. Is this an area that you could just mulch? Topsoil will help but so will hardwood bark mulch over time. Just an indication that you soil mind need a touch of lime and some sunlight. Mike at an earlier viewing you were talking about weeds. AND GETTING RID OF THEM. I don’t know what the weed is called. Sorry I can’t be of more help. Is it possible you have kikuyu grass? That stuff seems to be indestructible and even small segments of it will take root (and I’ve found roots several feet down under the soil). Some people thought kikuyu grass would make an excellent lawn, and in a way I can see their point. It requires next to no water and you virtually can’t kill it. 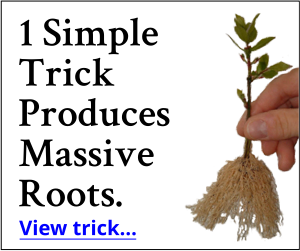 And every time you mow, you are essentially creating thousands of new cuttings to take root. Our house has had it since before we moved in 15 years ago, and I’ve just learned to live with it 🙁 I try to keep it away from my veggies and I never add it to the compost pile.